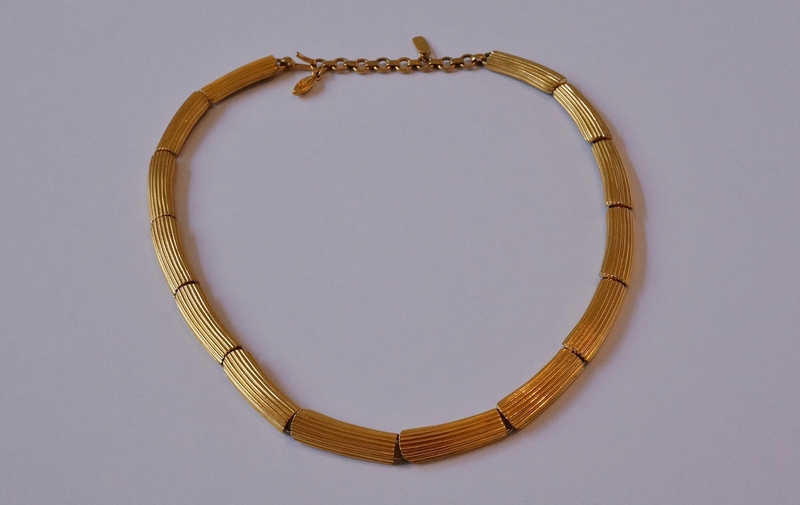 Monet Modernist gold plated gilt necklace 1950`s ca, American. 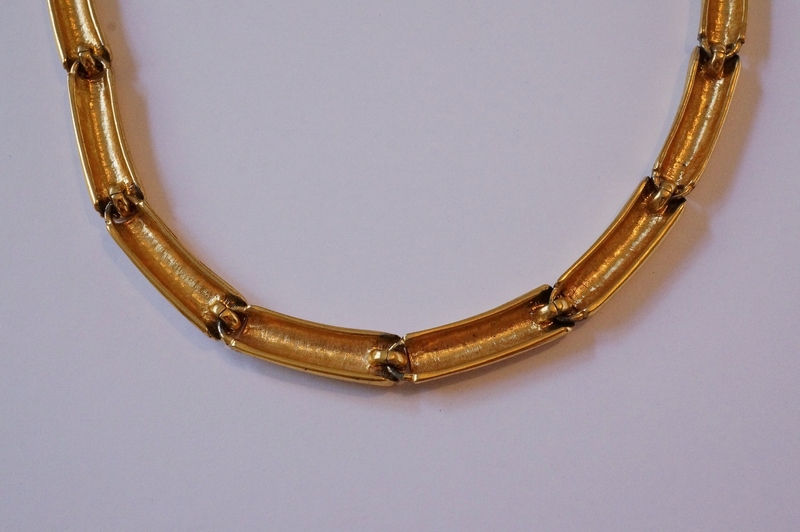 Gold toned choker/collar. Gold plated fluted rods which added subtle texture & shadows. 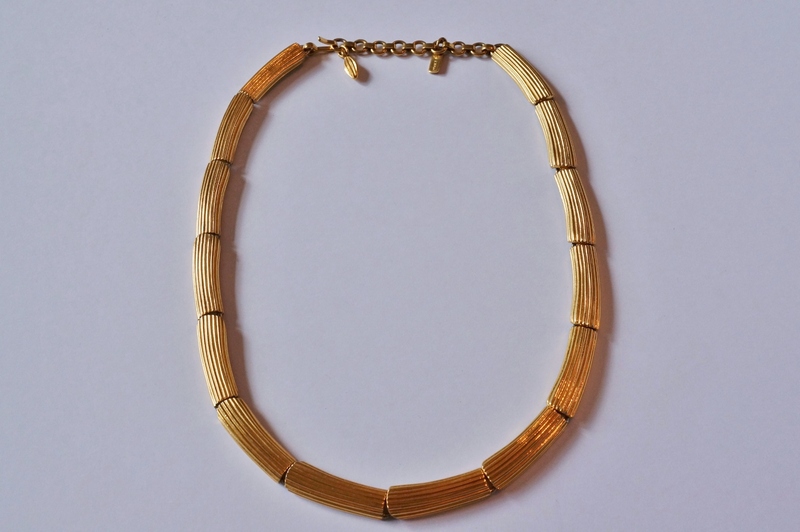 Looking at the reverse side it is possible to see the clever perpendicular links which give this choker its unique hang. The rods are also textured on the reverse side. 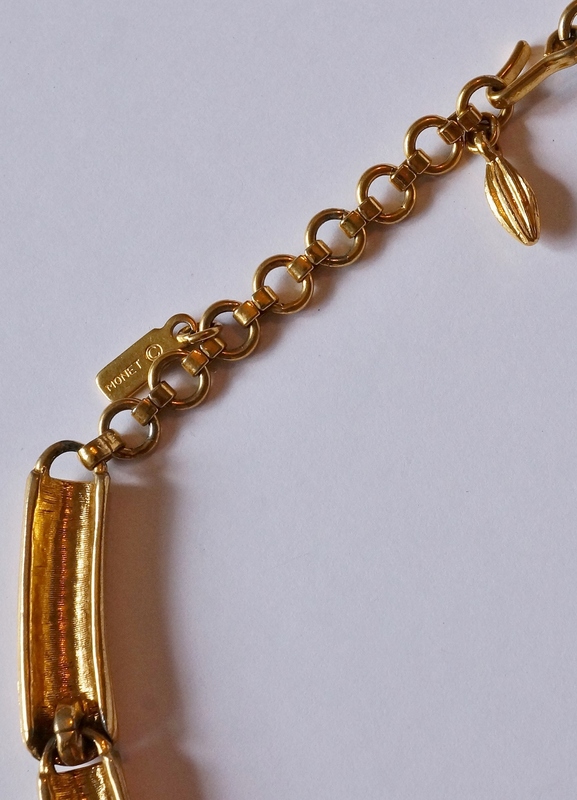 There is a U shaped hook which attaches to the chain. 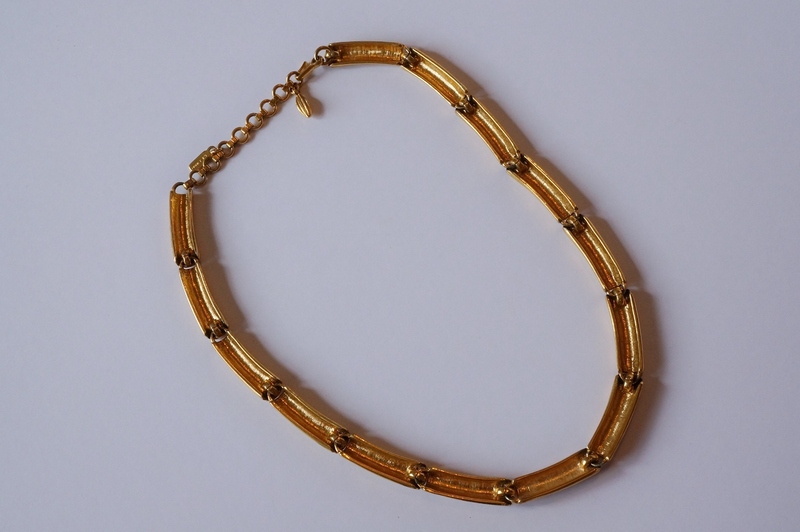 There are several links in the chain so this collar can be worn at different lengths. 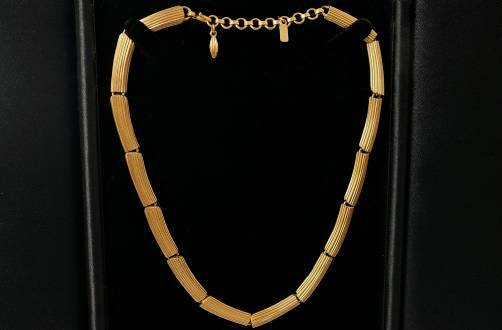 The chain has a tag stamped Monet Â© indicating this design is after 1955. 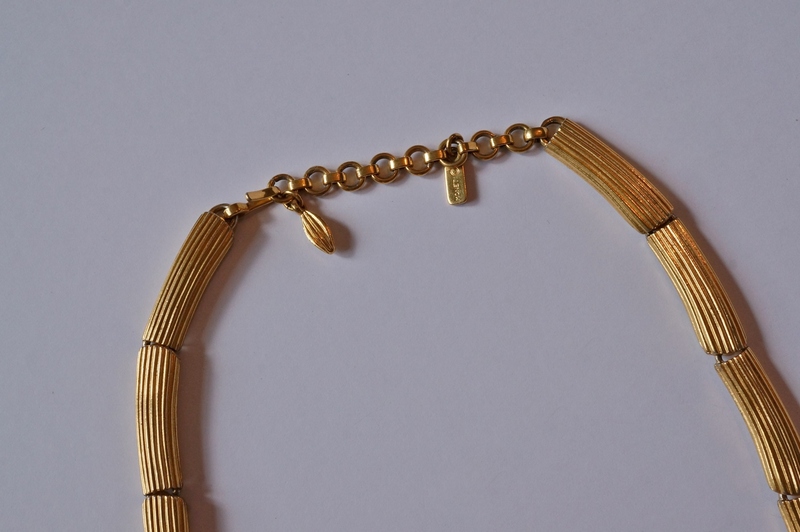 There is also a weighted tag to keep the chain in place. In good vintage condition with a tiny bit of rubbing to the gilt at the articulated joints of the rods. In 1927Michael & Joseph Chernow started ‘Monocraft’ in New York producing personalised metal initials for car owners. In response to lower cars sales during the Great Depression the brothers shifted to monograming handbags. The jewellery range ‘Monet’ was added in 1937. Through the years the company has been known for their designs which are usually metal base rather than jewels. This look was so popular in the 1980’s that the company acquired the Yves St. Laurent licence for costume jewellery. Over the last 30 years the company has changed hands several times with most notable partnerships with Christian Lacroix & Liz Claiborne.